EarthByte has now released a list of Honours/Masters projects to be offered in 2018. These projects are outlined below. If you are interested in learning more about any of these projects, please get in contact with the project supervisors. This project is designed to understand the interconnections between mantle dynamics, plate tectonics, paleogeography, basin evolution, and continental shelves. The project will investigate the spatial and temporal relationship between key tectonic events and landscape evolution (erosion and sedimentation), paleogeography (shoreline evolution), basin dynamics (subsidence and uplift) and mantle processes (dynamic topography), focussing on for a basin with good data coverage to be determined in discussions with our industry partners. In collaboration with the Centre for Translational Data Science (CTDS) we will implement numerical forward modelling from a Bayesian perspective, providing a framework for optimised model development of complex, non-linear Earth systems. Uncertainties in optimised models will be computed based on present-day and time-dependent data (paleocoastlines, exhumation history, sediment provenance). These models will enable “synthetic geophysical profiling” – synthetic stratigraphy (akin to seismic) profiles across basins) – to underpin decision-making for future resource exploration. The project will require a basic knowledge of the python scripting language and a willingness to learn how to apply machine learning methods to basin modelling. The project is offered as part of the ARC Basin Genesis Hub, and involves opportunities to interact with our industry partners. 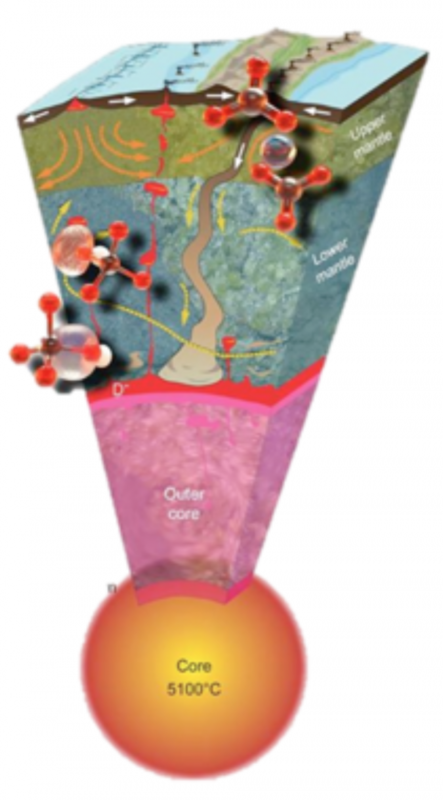 Perturbations of the deep-time carbon cycle have triggered fundamental shifts in Earth systems, including effects on climate and the biosphere. The evolution of the carbon cycle through the Phanerozoic (since ~540 million years ago) has traditionally been achieved by applying box models that incorporate various reservoirs and fluxes of volatiles through time. However, the tectonic component of the deep-time and deep-Earth carbon cycle has been under-explored and under-utilised, wit h many of the box models relying on outdated parameters of solid Earth evolution. Modern plate tectonic reconstructions provide key constraints on aspects of carbon sinks and sources through time, including the length of continental and oceanic volcanic arcs, the subducting plate area (and slab flux), seafloor spreading rates, continental rifting and orogenesis, as well as ophiolite obduction and Large Igneous Province eruptions from mantle plumes. This project will modify input parameters from existing community box models of the carbon cycle to incorporate the tectonic components of the system. The plate tectonic reconstruction software GPlates, and the Python library pyGPlates, will be instrumental to extracting the relevant time-dependent tectonic parameters, which will be calibrated to known (and estimated) present-day values and applied to the carbon box modelling. The project will then require the student to also modify the weightings and experiment with the relative contributions from the tectonic forcings, and compare the outputs to the latest geological proxy records (including carbon dioxide, oxygen, etc.). Statistical approaches like Cross Wavelet Transform (XWT) and Wavelet Coherence (WTC) will then be used to infer what combination of tectonic parameters and weightings produce more realistic reproductions of the proxy records. The project will require a basic knowledge of GPlates, Geographic Information Systems (GIS), Python scripting, and a willingness to apply computational techniques to carbon cycle box modelling. This project is supported by the international Deep Carbon Observatory (DCO) and German Academic Exchange Service (DAAD). This project will include a trip to Europe to visit Sascha Brune at GFZ Potsdam (Germany), and pending the outcome of another proposal application, this project may include attendance of the European Geosciences Union meeting in Vienna (Austria), as well as paid Research Assistant work of 7 hours per week for the duration of the project. Continental precipitation is a fundamental parameter that controls erosion, sediment transform and sedimentation through geological time, along with plate tectonic processes that generate elevated topography and move continents through different climate zones through time. Together these processes play an important role in modulating Earth’s climate. Plate tectonics forms mountains where CO 2 dissolved in rainwater reacts with silicate minerals, forming new minerals, consuming CO 2. If the Earth gets too hot, high levels of rainfall and erosion start bringing CO 2 levels down, thus ensuring that Earth remains habitable over geological time. The aim of this project is to understand how global precipitation has evolved over the last 400 million years through a sequence of hothouse and icehouse climates. 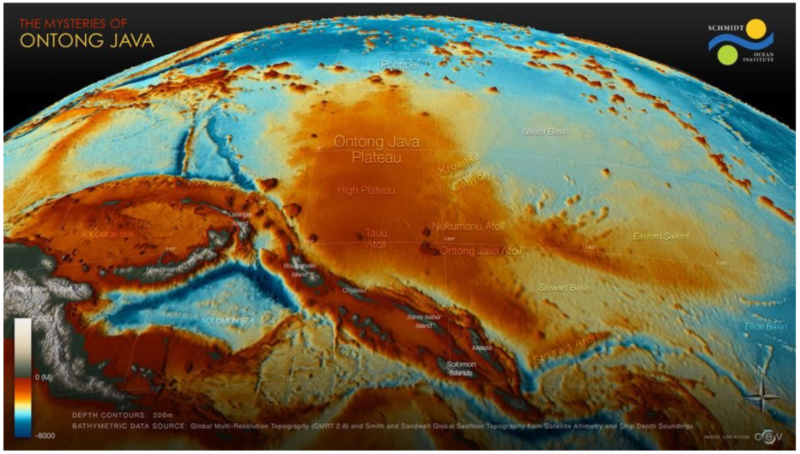 For modelling rainfall through time we will use a recently developed software called ATOM (https://github.com/atom-model/ATOM) constrained by a set of paleo-elevation maps, based on a plate tectonic model combined with geological indicators of paleo-elevation. 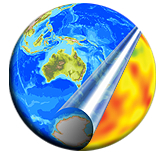 ATOM is a fast low-complexity climate modelling code that is specifically developed for modelling long time-series of climate models through deep time. To ground-truth model output we will use present-day rainfall patterns and previously compiled continental lithologies (rock types) that are sensitive to paleoclimate belts, including the occurrence of coal, evaporites and glacial sediments. The uncertainties involved will be investigated using Bayesian statistical methods. These precipitation models will be used as time-dependent constraints for future surface process models involving the Badlands software. The project will require a basic knowledge of the python scripting language and a willingness to learn how to apply machine learning methods to their analysis of global time series of climate models and observations. The project is offered as part of the ARC Basin Genesis Hub, and includes opportunities to interact with our industry partners. The strong variability in the structural style (geometry of folds, fault patterns etc) of syn-rift basins and inverted basins is due, in large part, to the rheological contrasts that can exist between evaporites, shales, sandstones, limestones and volcanics. The inversion, via forward modelling, of the structural style imaged through seismic methods, can help constrain the mechanical stratigraphy which, at the scale of sedimentary basin, control the structural style. This project aims at defining, via a simple inversion protocol, the mechanical stratigraphy of major sedimentary sub-basins along Australia’s North West Shelf and PNG. The project will straddle the Basin Genesis Hub Technology, Northwest Shelf and PNG research streams. Formation of flat mountain tops: numerical simulation based on natural examples, implications for mountain erosion and sediment dispersal. Since the initial work from Davies (1899), peneplains and related features termed low-relief surfaces or paleosurfaces have been described on every continent and in many mountain belts around the world. However the preservation of these remarkable features atop uplifting mountains remains unclear. 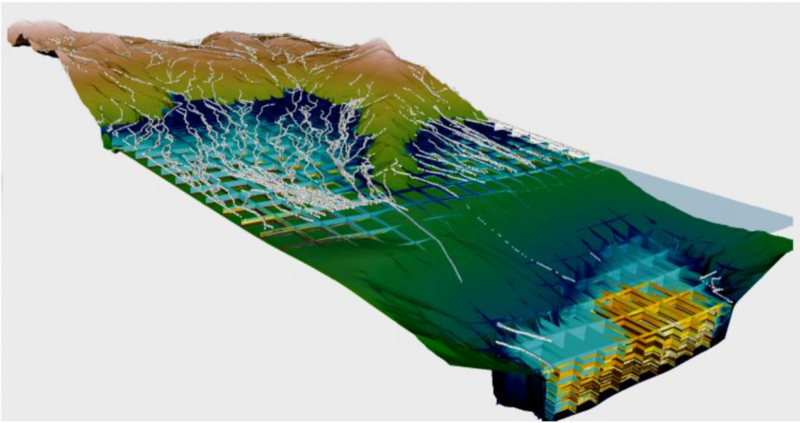 The rules most commonly used in numerical simulations of mountain erosion predict that such surfaces should quickly disappear. Therefore they challenge the general validity of the rules used to simulate mountain erosion and sediment dispersal. Here we propose to adapt the numerical model Badlands in order to incorporate the influence of the ‘ tool effect ’ (amount of bedload transported) and test whether it better captures mountain erosion. Being able to simulate their preservation is important in understanding fluvial processes, as well as accurately quantifying mountain erosion and sediment transport from source to sink. In this project, you will first define from obtained field observations ( Puerto Rico , Guatemala , New Guinea ) the geomorphological characteristics of perched planation surfaces. You will then estimate local and catchment-wide erosion rates by extrapolating field measurements of catchment-wide erosion in order to quantify landscape evolution. Finally, you will try to reproduce the stability of these geomorphic elements under different climatic and tectonic conditions using the numerical model, and propose scenarios of landscape dynamics on a wide range of scales (from individual catchment to basin-wide models). The project will develop skills and experience in field data analysis, 3D visualisation and landscape evolution modelling, and be part of the Basin Genesis Hub Technology research stream. This project investigates the interplay between extensional tectonics, and mass transfer at the Earth’s surface through erosion, sediment transportation and deposition. The weight of sediments has an important amplification effect on the surface subsidence, while in the meantime modulating the Moho upwarping during extension. This loading impacts also on the evolving deviatoric stress field, and therefore the tectonic evolution of basins. 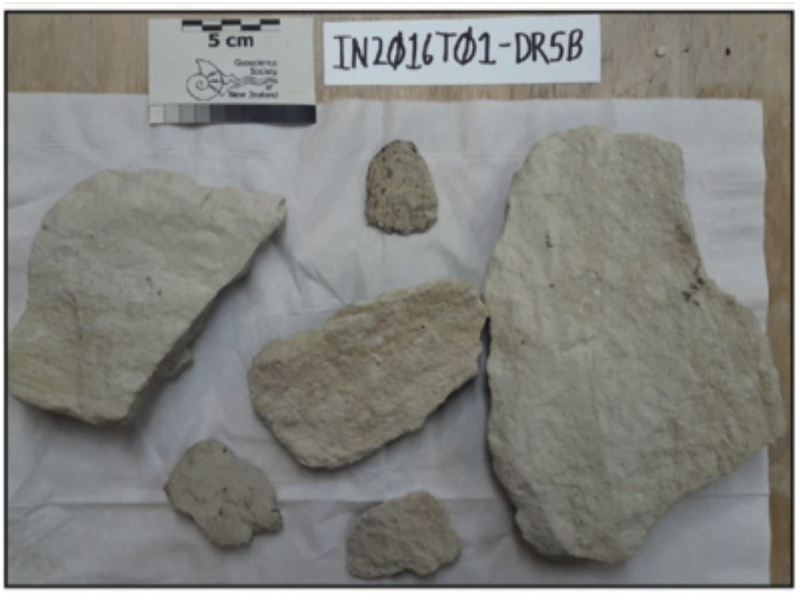 Sediments – which commonly have a low thermal conductivity – have also an important effect on the long term thermal structure and therefore rheology of the underlying lithosphere, and its response to deviatoric stresses. The rate of accumulation is also key to the burial of organic matter, and evolution of good source rocks. Being able to map through time the optimum accumulation rate in an evolving basin is therefore important. The project will be part of the Basin Genesis Hub Technology research stream. The formation of continental margins through the processes of continental rifting often leads to strong vertical strain partitioning during which, the upper crust, the lower crust and the lithospheric mantle record contrasting style of extension. Because these layers have contrasting densities and thermal properties, vertical strain partitioning can lead to contrasting subsidence patterns and thermal evolutions. In addition, contrasting style of extension in the lithospheric mantle could explain the development of magmatic and a-magmatic continental margins. This project will specifically investigate the role of the mantle and mantle processes, including edge-driven mantle convection, in the evolution of continental margins. The project will be part of the Basin Genesis Hub Technology research stream. Vertical motions in the Scotia Sea oceanic gateway: a primary control on global climate? In 1578 the English privateer, Sir Francis Drake, inadvertently discovered a narrow passageway between the southern tip of South America and Antarctica. This was an exciting discovery of one of the world’s most important navigational passageways, connecting the Atlantic and Pacific oceans. In the 20th century, interest was reignited in this narrow passageway, the Drake Passage (part of the Scotia Sea), as its formation was linked to the inception of the Antarctic Circumpolar Current, Antarctic glaciation and the end of the “Greenhouse World” at the Eocene-Oligocene boundary. In this project, you will explore the relative role of long-wavelength dynamic topography and slab window formation on the vertical motions in the Scotia Sea, assess whether either of these processes can explain the observed anomalous topography from the region and produce a new palaeobathymetry model for the area that will constrain the timing of deep-water flow. You will develop skills in plate tectonic and geodynamic modeling and data synthesis and learn software tools such as GPlates, ArcGIS and GMT . This project involves collaboration with colleagues from the University of Wollongong. Vertical motions of the Tasman and Coral Sea: possible link to Ontong Java Plateau collision? In this project, you will address this controversy using a novel and multi-disciplinary approach that explores the far-field effect of this collision on the vertical motions of the submarine ridges in the Tasman and Coral Seas. You will integrate age and paleo-environment data from sedimentary samples, including those collected from recent voyages IN2016_T01 on the RV Investigator and SS2013_v06 on the RV Southern Surveyor . You will then construct alternative plate kinematic models of the OJP collision in GPlates , which will be fed into geodynamic models of mantle structure and dynamic topography. Lastly, you will assess which coupled plate kinematic-geodynamic model best reflects the vertical motions predicted by your Tasman and Coral Sea samples. This project involves collaboration with colleagues from the University of Wollongong.